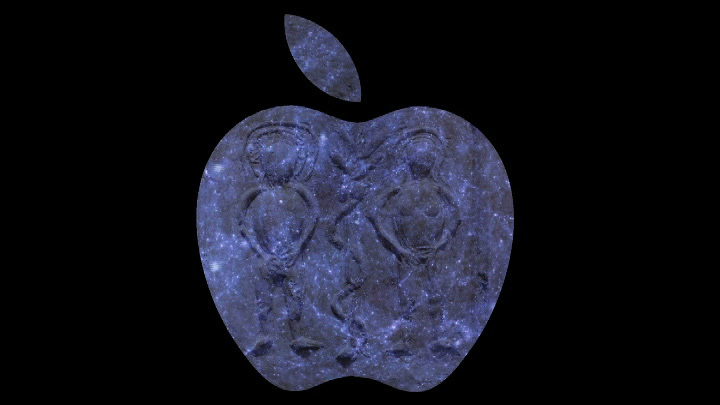 In his video Paradise Lost Christoph Brech projected a film depicting a bursting galaxy onto the image of a 6th century a.d. clay relief. 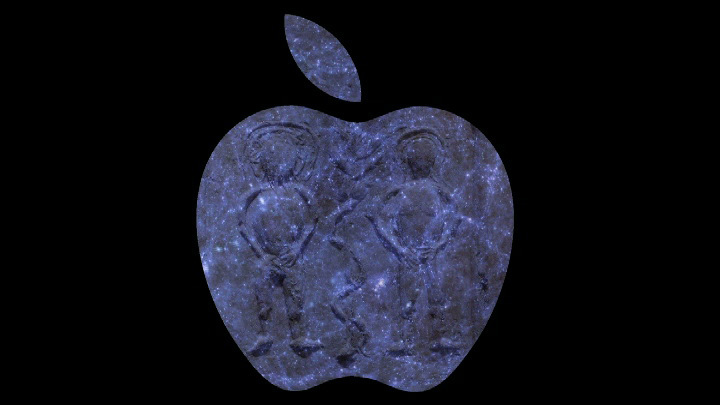 Portrayed on the small clay tablet is that moment after Adam and Eve have eaten from the fruit of the Tree of knowledge of good and evil. 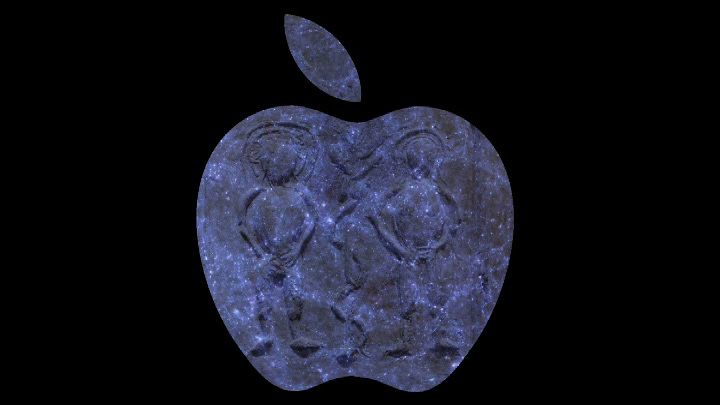 The projection of this scene is reduced to the shape of a stylized apple. 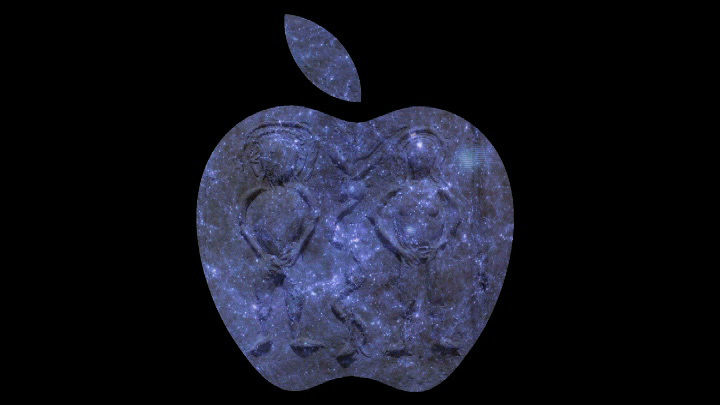 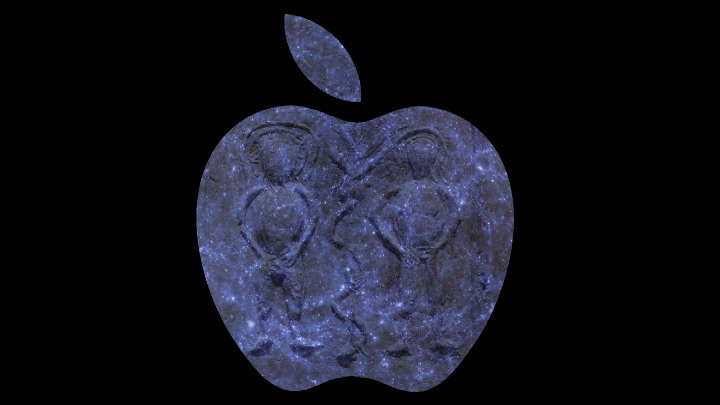 There emerges an extended interpretation of the biblical metaphor of the “apple” as the fruit of knowledge which humankind had to taste in order to realize himself as part of an exploding universe.